Thanks to Nancy Behymer for sharing the story of Phoenix. "Phoenix my Daughters dog (a pup from mine) he had terrible seizures poor guy could not get a week in without having one. The would last up to 20 to 30 min all we could do was hold him to keep him from flopping around and hurting himself. We first tired the Calm and Compose a week didn't go by and he had one. Very heart wrenching to see he tried not to have them. Liver Yang Rising seems to be working he has been seizure free for over a month now he is so happy now. thank you Mark and Paw Healer"
People demand answers...they want for sure things...but with herbs we really don't know...its the same with people. Every dog reacts differently...The good thing about this is that it in most instances the dog is receiving major benefits. I really try to stay away from giving any type of prognosis of the herbs...because we really don't know how each dog will respond! Started lola on your herbal medicine in conjunction with dr ava frick's and your diet recommendations. just meat and vegetables (she likes them) although she has been on this routine for only 11 days the results have been simply amazing. she has not had a seizure her coat seems more lusterous and she has more pep. she has not vomited any yellow stuff and i believe that's from the elimination of all grain of all grain products. will continue the herbs till they are finished and continue the diet. will send you another update when the medicine is finished. we can't thank you enough for you help. keep up you excellent work. If you recall Sandy is Dr. Pink Pinkerton's very OLD friend. She is 19 years old and had sufferred life long seizures. Pink Pinkerton and The PawHealer are so happy to give this update about Sandy who is now free from seizures and most importantly, free from drugs. Bowser says Dr. Pink Pinkerton.....what a girl! Just wanted to let you know that after a couple of months on the herbal treatment, Sandy is now free of seizures and I have actually been able to gradually take her off the herbs. She appears to be cured and is so much more alert and happy than when she was taking phenobarbitol! Her appetite has returned and she's actually talking to me again in her cute, strong, barky way....and is jumping off the couch by herself! I would definately start treatment again with your herbal compound if she should show any signs that her problem is returning, but for now, all is well! By the way, the vet was very happy to hear about Sandy's turnaround and was quite amazed and nearly speechless! Dr. Pink Pinkerton, herbalist extraordiniare is please to introduce the beautiful Sandy and her friend. Sandy is a very old dog that has been on medicine for seizures for many many years. Dr. Pink thinks it great that Dana (her person) after all these many years is trying to have her live the rest of her 17 years free of drugs. Dr. Pink would like to post this wonderful news about Sandy and her seizures! Almost a wk has passed without Phenobarbital and Sandy is hanging tough. She has occaisional head shakes just like she did while she was on that drug, but she's maintaining well and I believe the seizures have reduced some! She has not had any of the full-body or frontal body tremors since her switch to Calm & Compose....so here's hoping! Another benefit seems to be that she's regaining night time control of her bladder, at least thus far, and I can tell you that is huge for her and for me, a 51 yr old single parent of an 18 yr. old Westie girl. I have a neuro disorder and the better off she is, the better we all three do with our daily care routines. 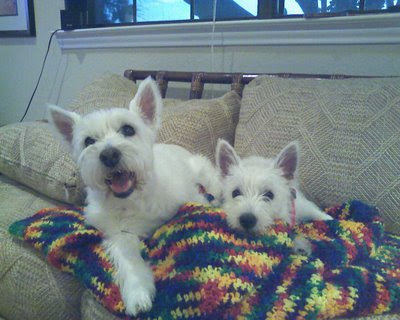 Her little sister Lucie is happier too since Sandy is now more alert and willing to take part in play time! Best of luck to you and your pursuits! I'm completely comfortable with the idea of sprinkling the granules on Baxter's (my Boston) food. To give a Reader's Digest version of his history: He is now 6 yrs old. When he turned 2 he became fear aggressive with no warning and would bite to the bone. I brought in a behaviorist who put him through puppy boot camp behavior modification and saved his life. Around that time he also started with extreme gas, belching, etc. Put him on a very high quality people food and life went on. We had another BT at the time who developed severe grand mal seizures and went the traditional route with phenobarbital and the heavy salts. Two years later, we had to put him down because the drugs were at such a heavy dose they literally removed any inhibitions in this lovely guy and he would start fights with the others; all this and the meds were no longer functional anyway. Baxter developed seizures about a year ago. 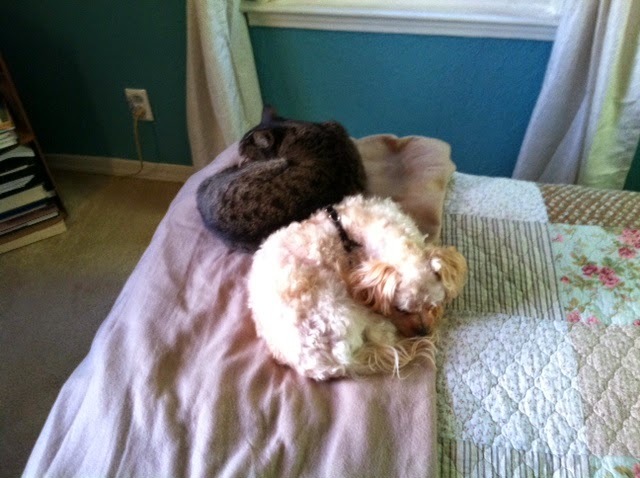 Traditional vet started the routine meds and Bax still had seizures and odd behavior. I, personally, started him on a full raw diet and decided to go the holistic route as we had nothing to lose and everything to gain. Found a wonderful holistic vet who gave him 2 homeopathic doses of belladonna, started him on Calm Repose, as well as magnesium lactate. No more seizures and a complete turnabout in personality. We cannot get over the difference. His coat is gorgeous, he has no awful breath odor, no gassy issues, and is so exceedingly healthy. to many positives from alternative meds. 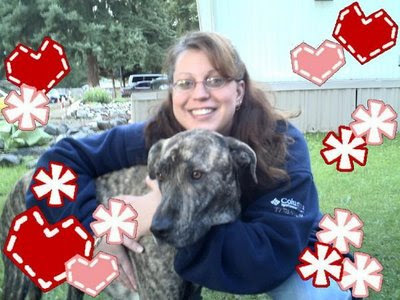 This is a blog from a dog mom whose dog has eplipsey. The Chinese formula she is referring to is Tian Ma Gou Ting Yin. 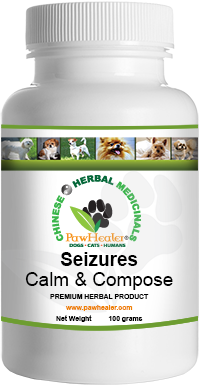 This formula is known to work very well for dogs with brain function issues. Thanks for your story Cathy!